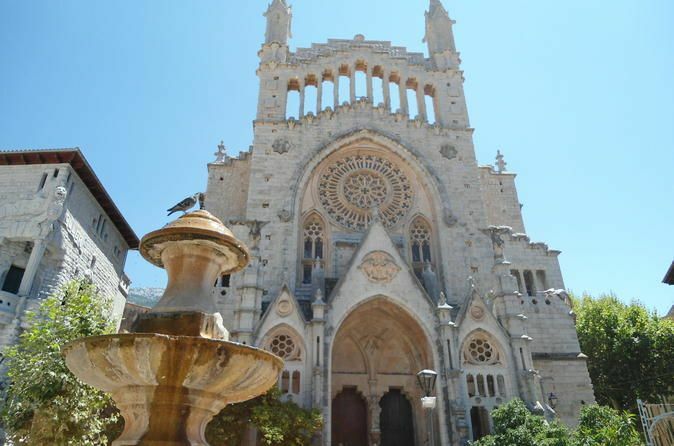 Transfer from Palma de Mallorca Port to the city center with a private driver. Visit landmarks such as the Old Town and the Almudaina Palace the Royal Palace of Almudaina, the Cathedral of Santa Maria, the Jewish Quarter and have a walking tour in the old town accompanied by your accomplished guide. Following this, you may return with your private driver to the ship or schedule a later pick up and have some time on your own in the city center. Greet your driver and guide at the Port of Palma de Mallorca and set off to the city center. Admire the imperial majesty of the Almudaina Palace, formerly an Arabian fortress, then stroll the serpentine streets of the Old Town to visit the historical city walls. Absorb panoramic vistas of the Bay of Palma and they city’s picturesque natural perimeter. Visit Palma Cathedral and learn about Gaudi, who designed much of the interior. See the Royal Palace of Almudaina, and the Jewish Quarter. Return to your ship with your driver or have some time on your own in the city center and schedule a later pick up to return to the cruise terminal in the afternoon.